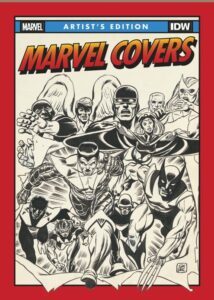 Marvel Comics is the home of some of the greatest and most iconic cover images in the history of comics. 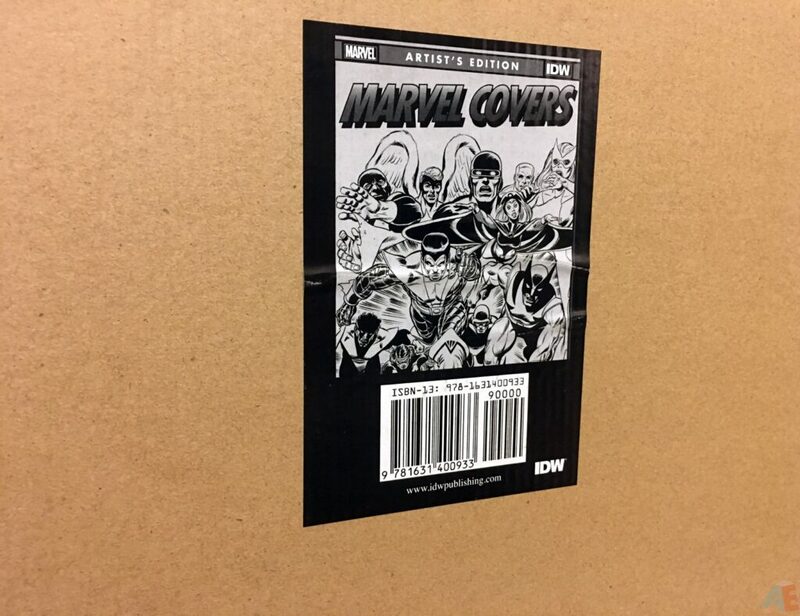 This unique Artist’s Edition will feature an amazing “Best of” selection of gorgeous covers by a veritable who’s who of the medium. 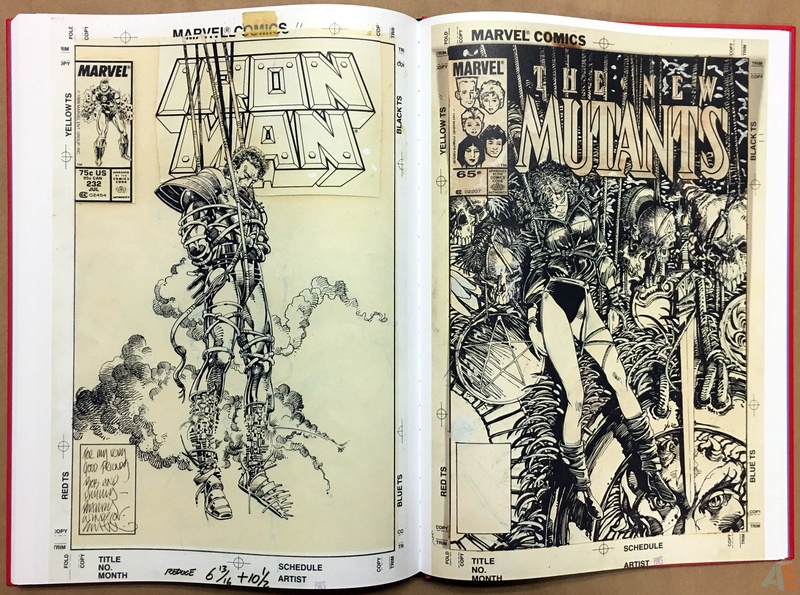 Arthur Adams, Gene Colan, Jack Kirby, Frank Miller, John Romita, Jim Starlin, Jim Steranko and many more — there has never been a book like this before and you are not likely to see its ilk again anytime soon! 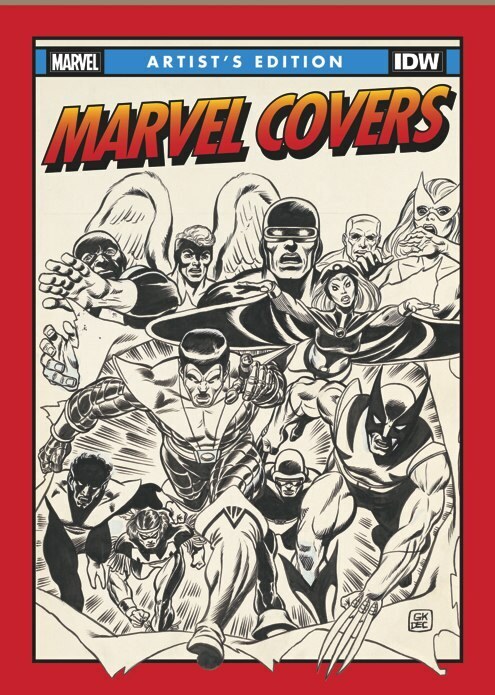 IDW continues to diversify its Artist’s Edition line with Marvel Covers Artist’s Edition, a collection of nothing but. 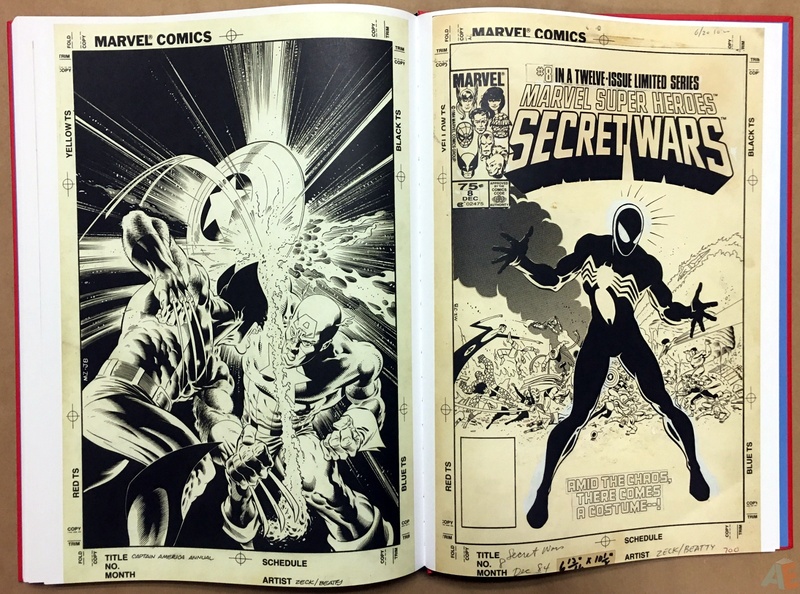 Of course this time around there is no story, just page after page of Marvel covers. 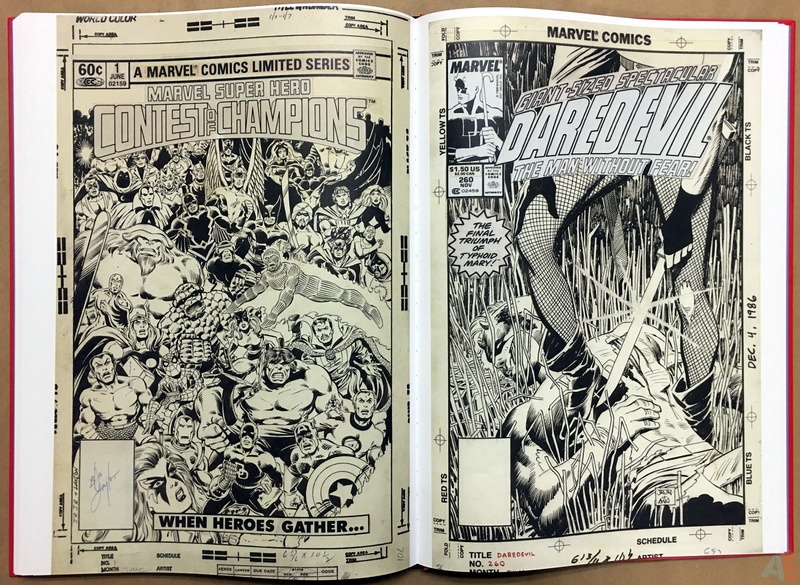 And what a collection it is! 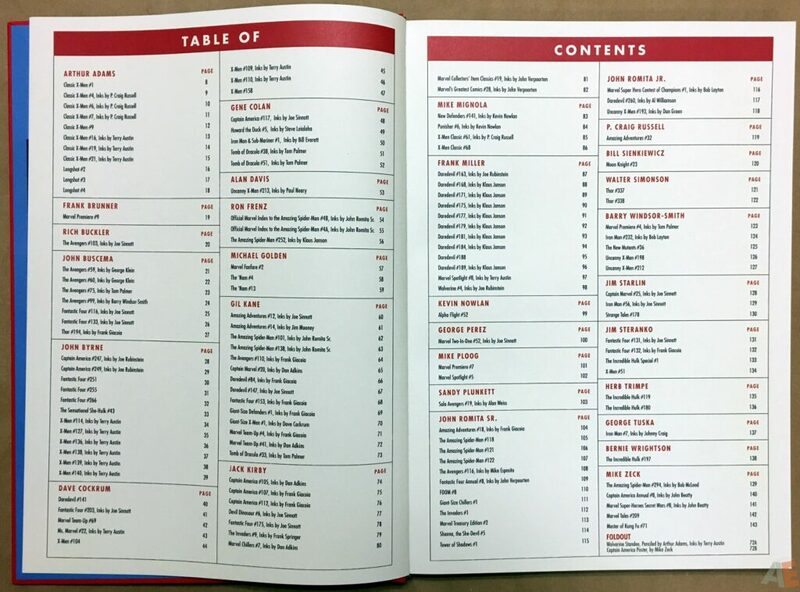 Below is a picture of the table of contents; no gallery this time around as it’s normally made of covers and extras and this volume is all covers. 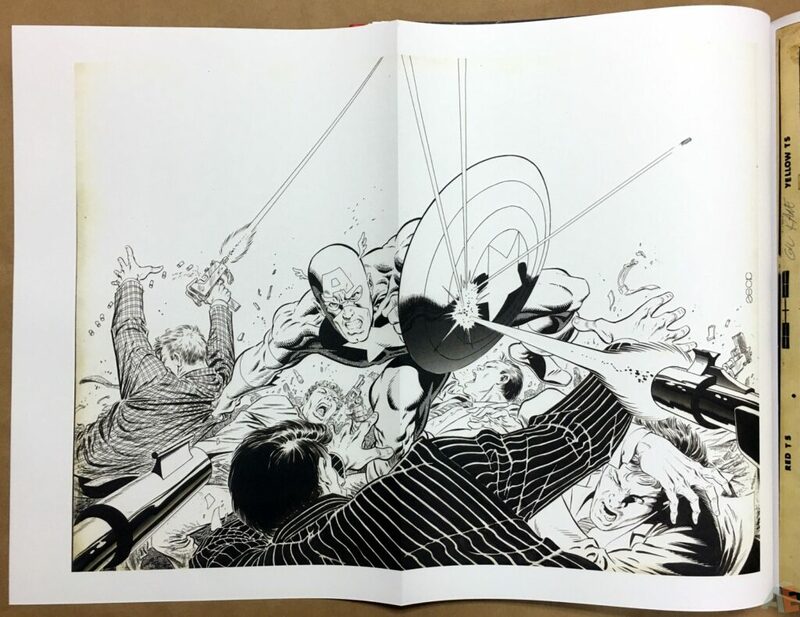 Well, almost all covers: there is a foldout with the Arthur Adams Wolverine standee on one side and the Mike Zeck Captain America poster on the other; like so many others I had both as posters on my wall as a teen. 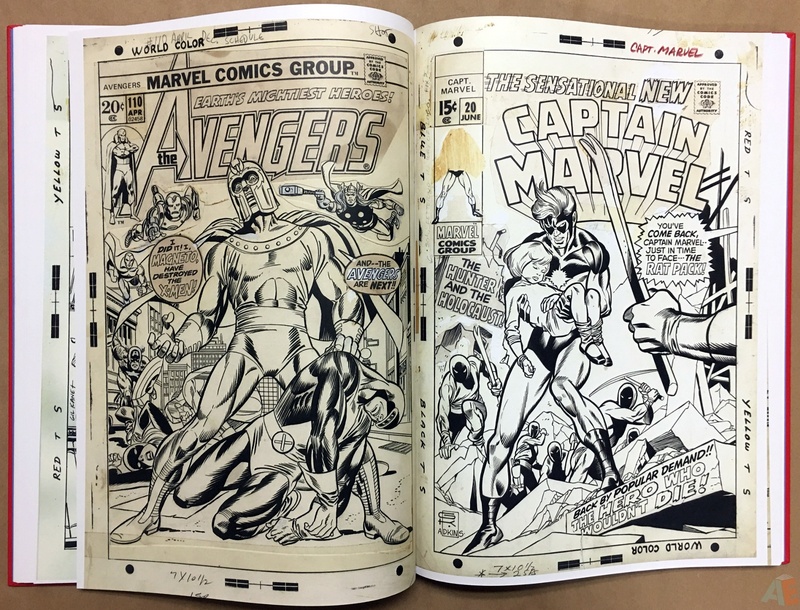 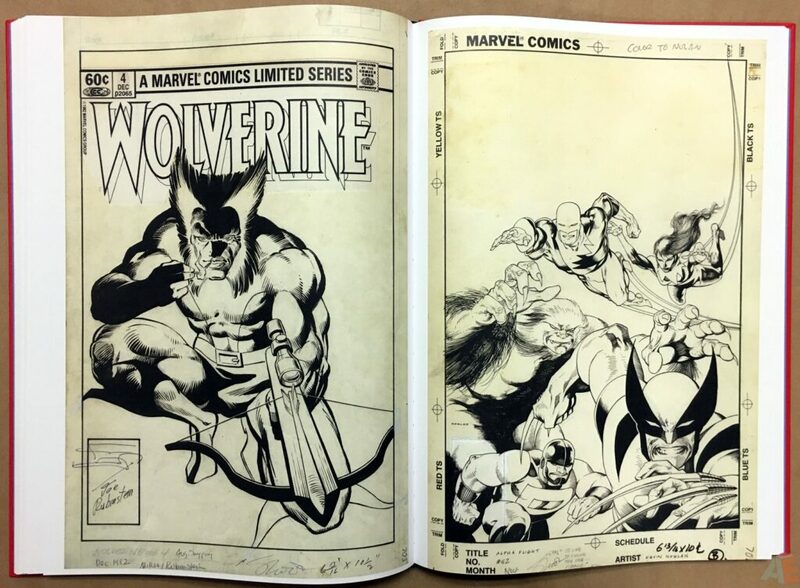 The original art has come from a wide variety of sources and some have been preserved better than others; pages run from cream to extremely yellowed; it doesn’t take away from the image at all, and is a true representation of the original art. 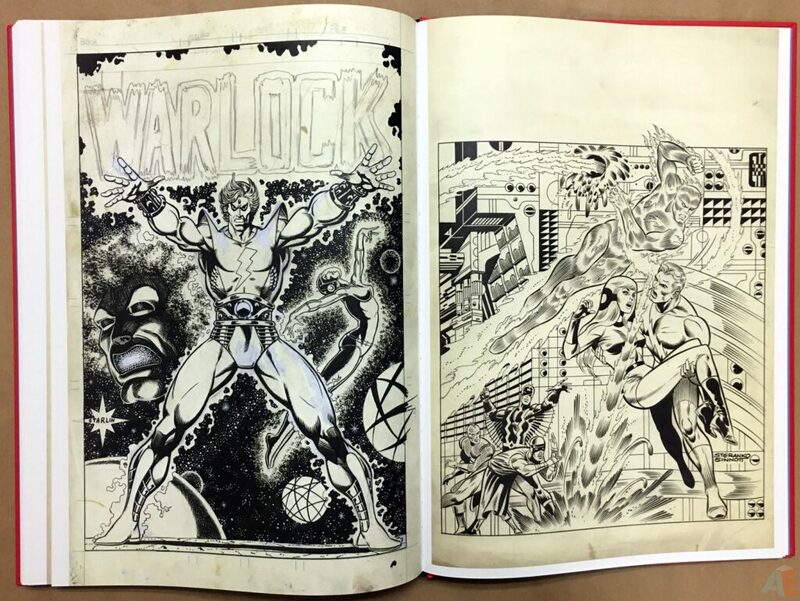 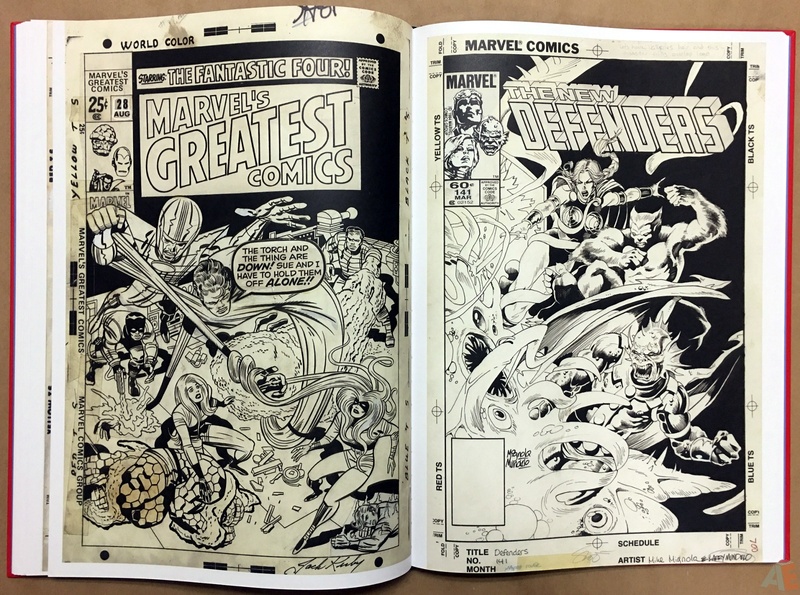 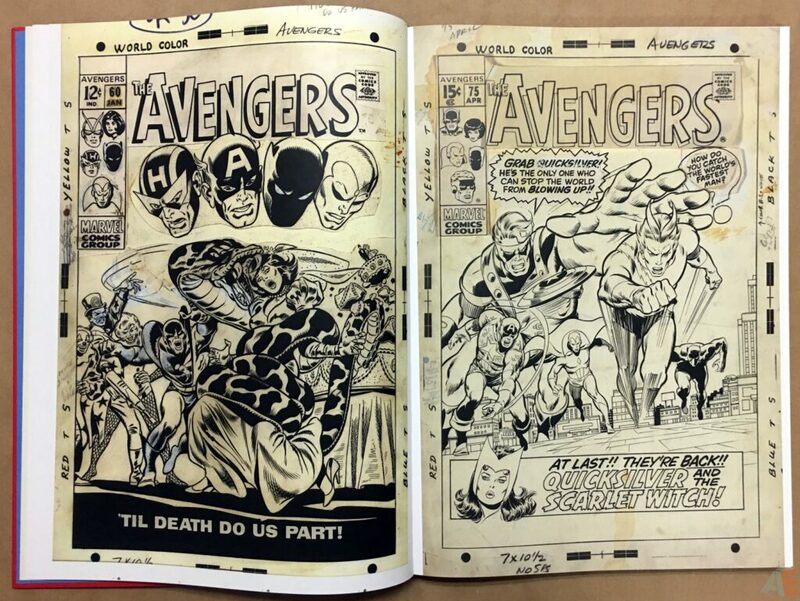 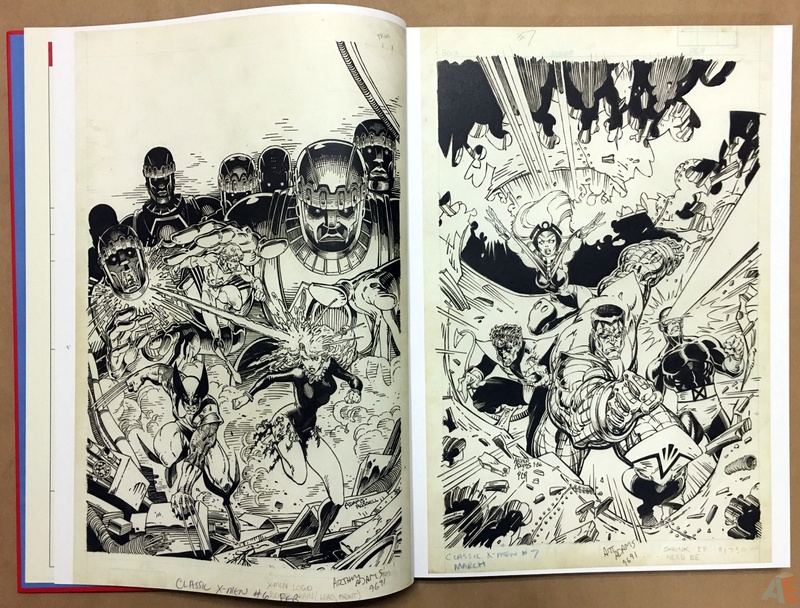 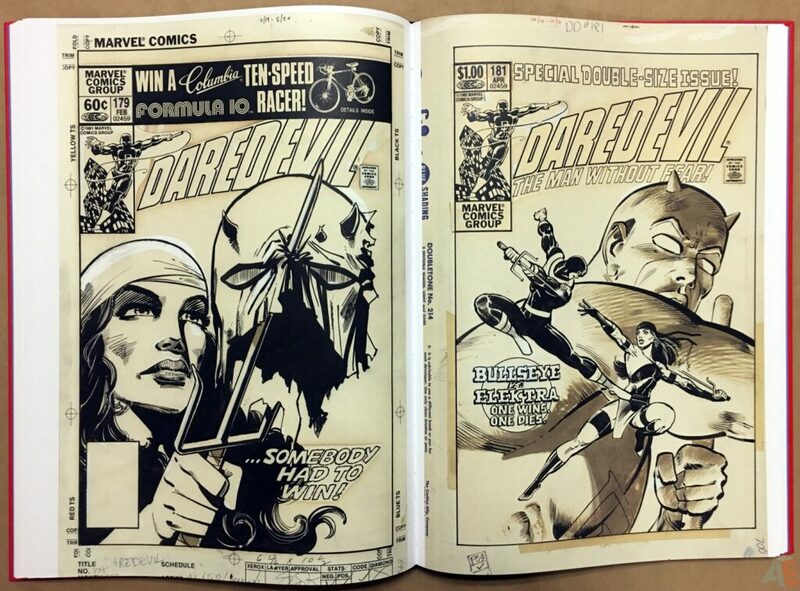 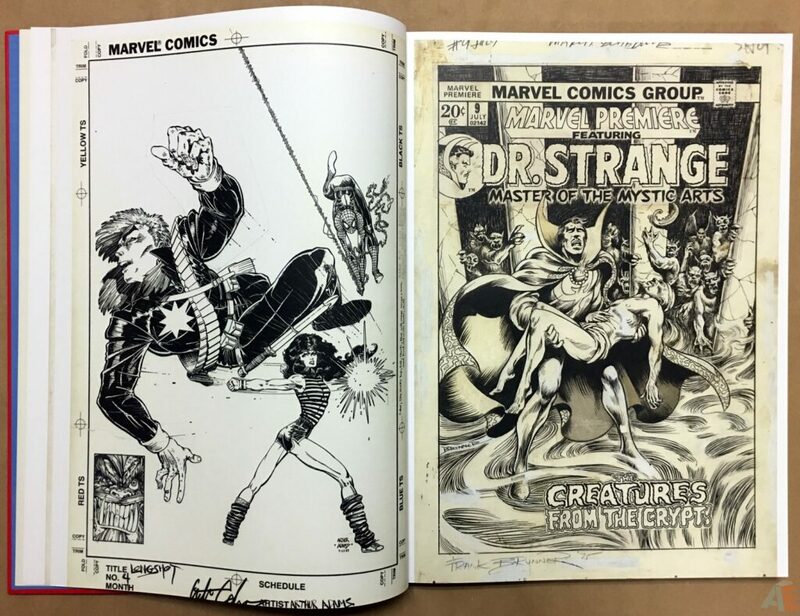 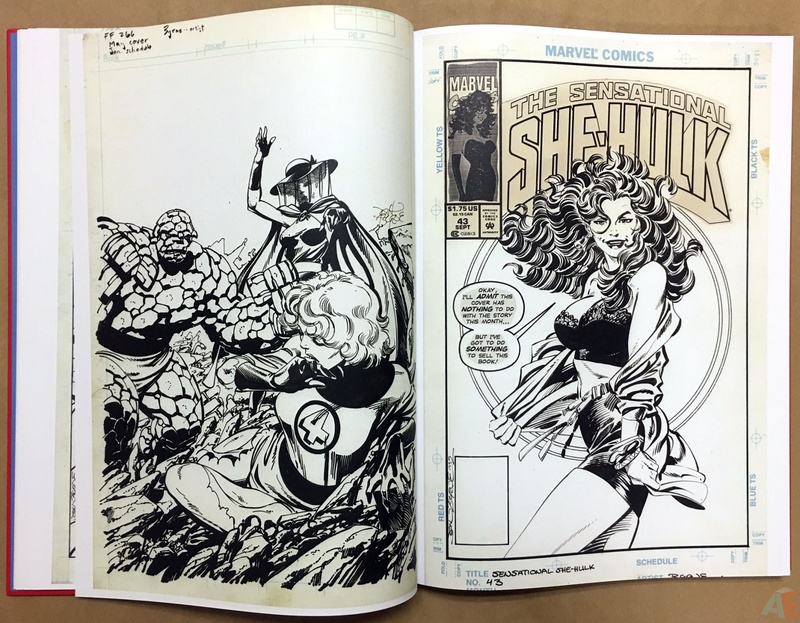 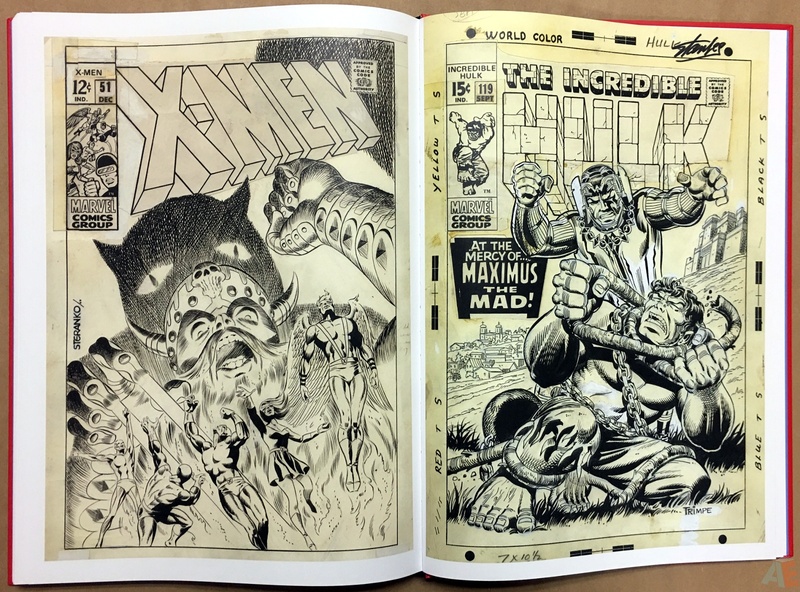 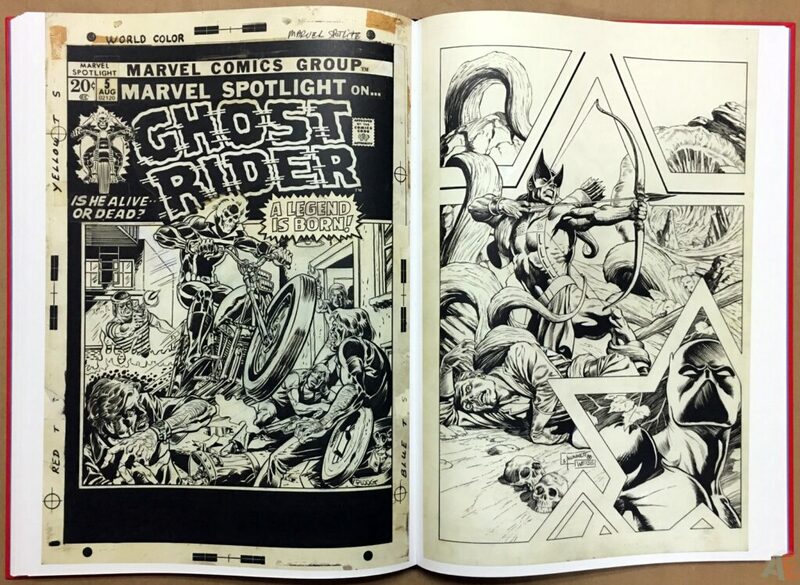 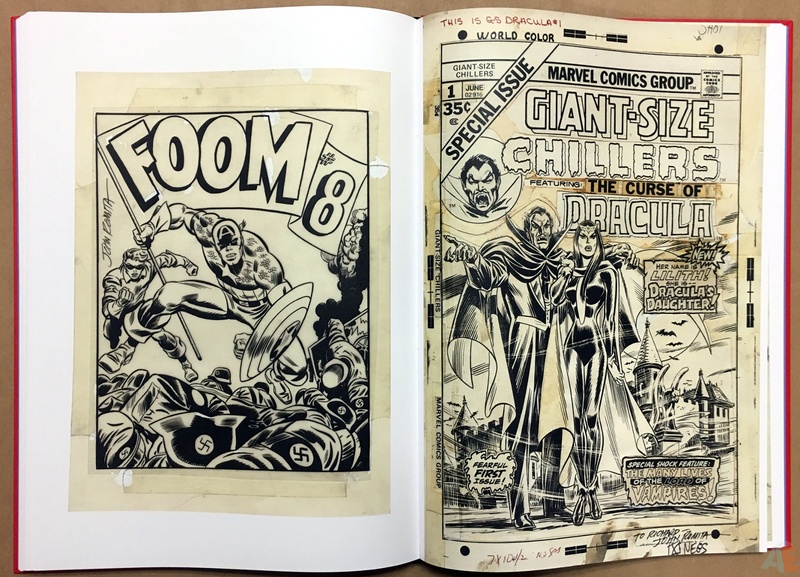 The only disappointment arises from some covers already published in previous Artist’s Editions; yes they’re on file and ready to go but owners of John Byrne, Walt Simonson and John Romita volumes will feel ever so slightly cheated. 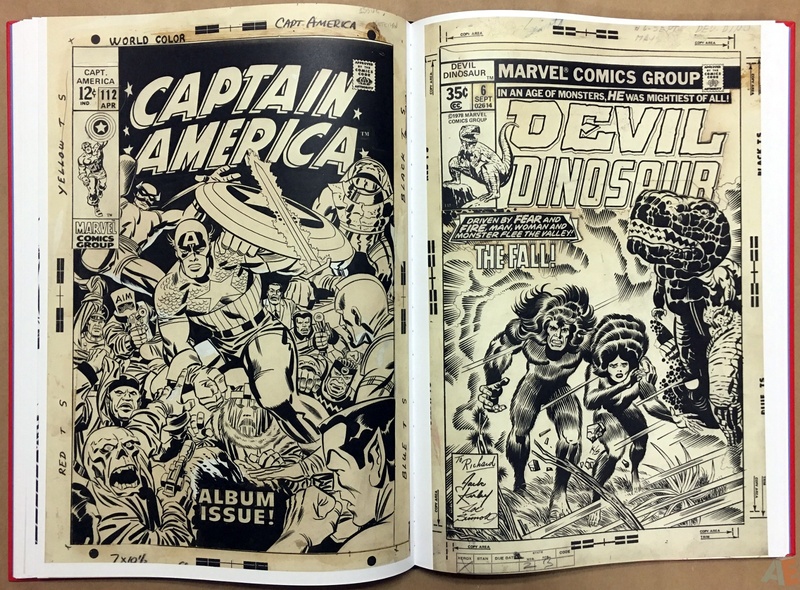 At the price though it’s hard to imagine a large audience buying every artist’s edition. 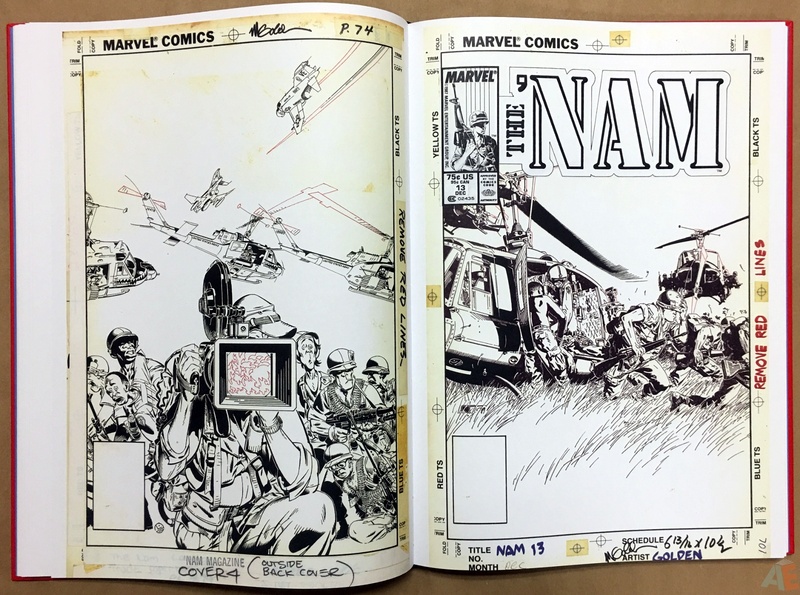 As well, this volume doesn’t meet IDW’s definition of an artist’s edition and would probably fit with an artifact edition. 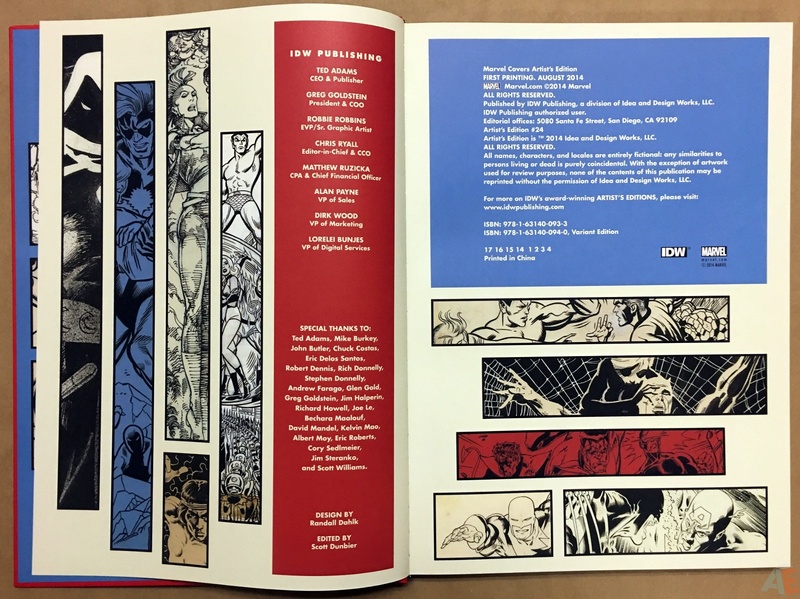 Here’s their definition from this product’s page: “AN ARTIST’S EDITION PRESENTS COMPLETE STORIES WITH EACH PAGE SCANNED FROM THE ACTUAL ORIGINAL ART“. 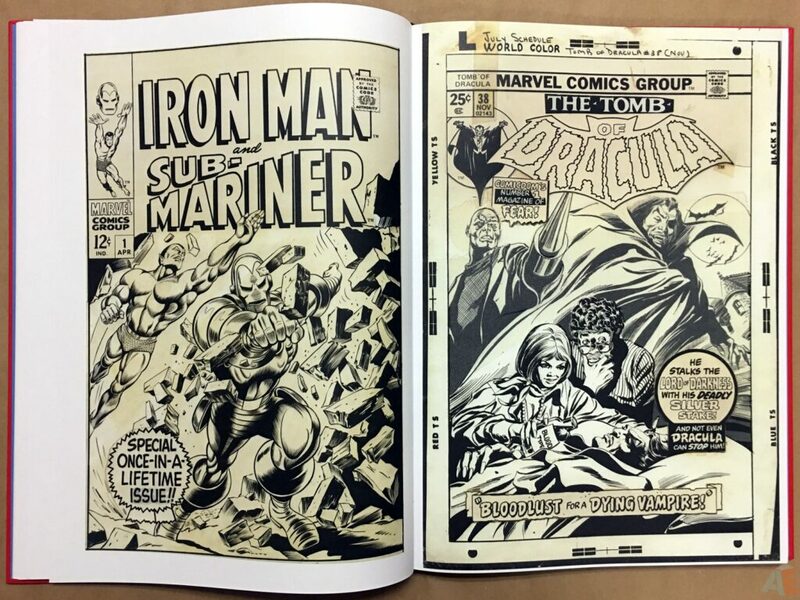 IDW has a good thing going and a straightforward production model they follow: heavy paper stock, sewn binding, and exceptional design by Randy Dahlk. 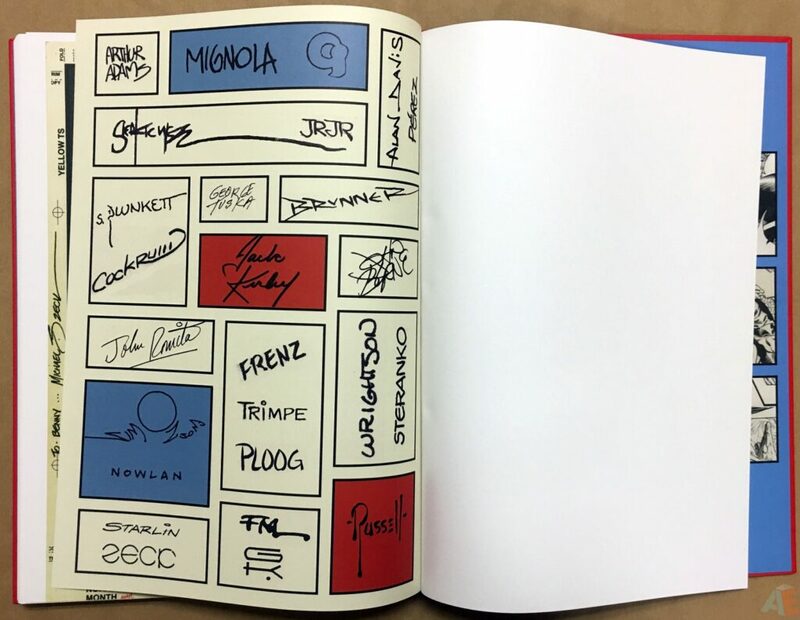 This time around the end papers are snippets of the covers and the final page is a collection of signatures instead of the usual biography: great stuff. 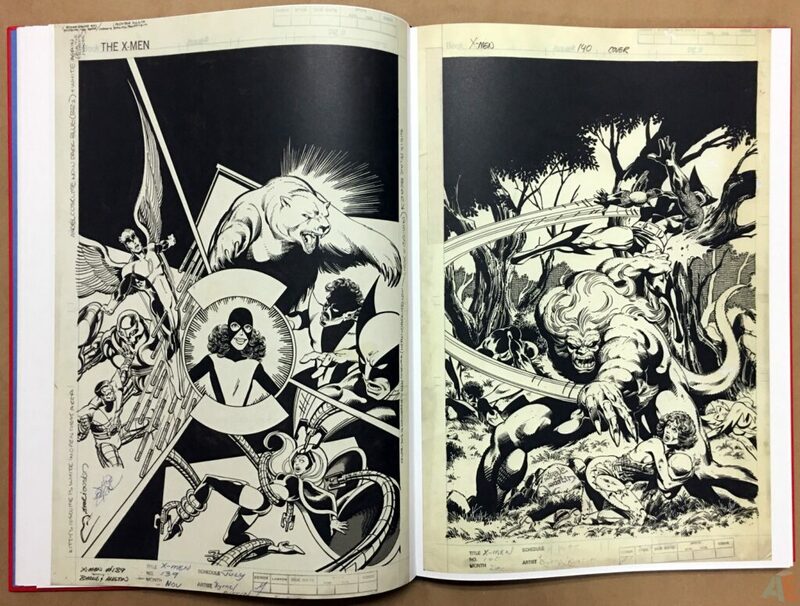 More sample images are available at IDW’s Facebook page, but the table of contents is your best guide for deciding whether to buy.